JAKARTA, Indonesia — Three North Korean basketball players were part of a unified Korean women's basketball team that defeated Indonesia 108-40 on Wednesday at the Asian Games. South Korean player Park Hyejin said center Ro Suk Yong, guard Jang Mi Gyong and guard Kim Hye Yon joined nine others from the South to form the unified team last month. "The joint training period that we have to go through ahead the games was very short and this is certainly a particular challenge for us, but that was not an obstacle because we are all very happy with this unification," Park said. "There is no significant difficulties among us so far, because in fact we are from the same nation and culture. We have no difficulty communicating because our language is same." 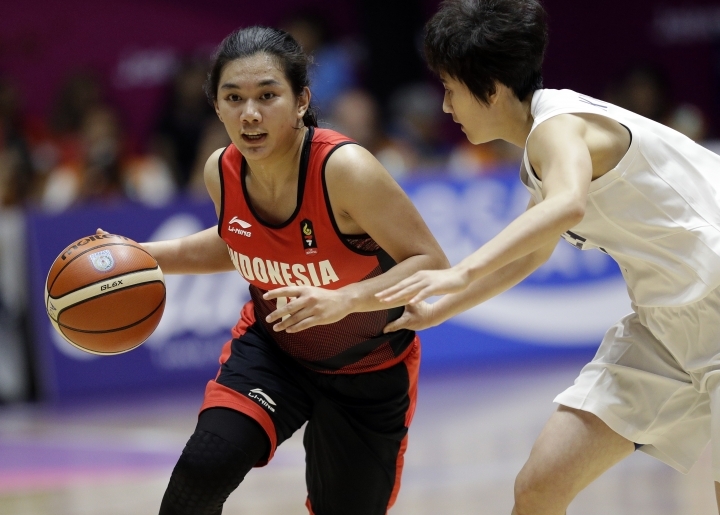 Ro scored 22 points while Kim added 14 against host Indonesia at the 2,500-seat basketball hall at the Bung Karno Sports Center. The North Korean players immediately went to the changing room after the game. The arena was half-filled for the game, with about 100 Korean fans wearing white T-shirts and hats, some beating traditional drums and others waving flags. Basketball is one of three sports in which the Koreas will field joint squads at the Asian Games, along with rowing and canoeing. South Korea is the defending Asian Games champion in women's basketball. "Our target for now is to win a gold medal. We don't think about our target after this, we are currently focusing on the Asian Games," Park said. "We do hope that the unified Korea team can continue, not only in basketball, but also in other sports and this will lead to unification in other fields."